Pakistan Telecommunication Company Limited (PTCL), in line with its sustained efforts to facilitate customers with value-added services, has introduced new line rents for unlimited use of Vfone to Vfone and Vfone to PSTN calls for all its existing and new Vfone subscribers. 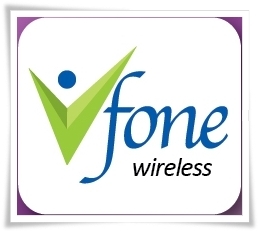 This remarkable initiative will result in a reduction of Rs.5 in the line rent of Vfone’s Unlimited package, which will be charged at Rs.15 per day effective from March 06 2012 instead of the earlier rates of Rs.20 per day. The daily line rent for Vfone’s Family package has been revised from Rs 5.99 per day to Rs 6.99 with effect from the same date. PTCL has already removed all types of call set-up charges in Simple, Family and Unlimited packages with effect from February 17, 2012. PTCL’s Vfone is Pakistan’s largest CDMA service providing blanket coverage across the country available in a variety of exciting pre-paid and post-paid packages. The Unlimited free On-Net dialing services against highly affordable daily line rent charges provide unparalleled, effective and affordable communication to the masses. Vfone also offers high speed Internet facility supported with CDMA 1x technology and SMS service to and from all networks at highly nominal rates.